By 7:30 a.m., today, it had stopped snowing at Kempt Head. Cancellations: Cape Breton Victoria School Board; Strait Richmond School Board; NSCC Marconi Campus; NSCC Strait Campus; Mayflower Mall (until noon, except for anchor stores); and pretty much every other event you could think of. Imagine! 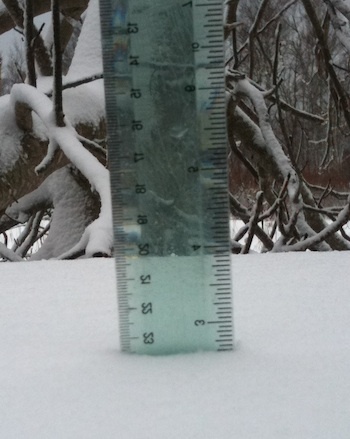 Two and five-eighth inches of snow! In February, in Nova Scotia! Gadzooks! Why hasn’t the army been called? What on earth has happened to us? What has turned us into a nation of cowering, cringing, ‘fraidy cats who darsn’t get out of bed in the morning, lest something bad happen. Something bad might happen. Get over it. Haul on your galoshes. Brush off the car. Get to work. As a people, we have lost the ability to assess risk. An unachievable, zero-risk approach has infected every aspect of our lives. How this happened, the huge price we are paying for it as individuals and as a society, and what can be done to rein it in, will be continuing topics on Contrarian.